Ideal for cutting of flash lines. Set of 3 high quality paint brushes. Ideal for Acrylic paints. "Bone Saw" for miniatures. Ideal for modifying miniatures to your taste. 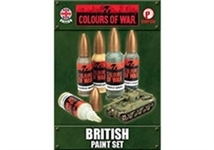 Set of acrylic paints ideal for painting your British Tanks! Fantasy Flight Games is proud to announce the Grassy Field Playmat , a 3’ by 3’ playing surface for the Runewars Miniatures Game featuring a vibrant green field. The Grassy Field Playmat plants your miniatures battles in an open field, ripe for placing terrain and other obstacles easily and seamlessly to bring life to your living battlefield. Though the mat is specifically designed for play with the Runewars Miniatures Game, with the rolling green fields matching the terrain that comes in the core set, the minimalist design is perfect for a variety of miniatures games. Whether you’re landing troops on a planet of rolling hills or sending your forces to medieval battle, the 3' x 3' Grassy Field Playmat provides plenty of room to deploy your armies. The mat not only offers a flavorful playing surface, but its slip-resistant bottom will ensure your valuable minis will stay safe during your skirmishes. The rubber that makes up the Grassy Field Playmat makes for not only a smooth, clean surface for both you and your opponent, but easy transport options for the mat. Just roll it up and take it you your favorite local gamestore! 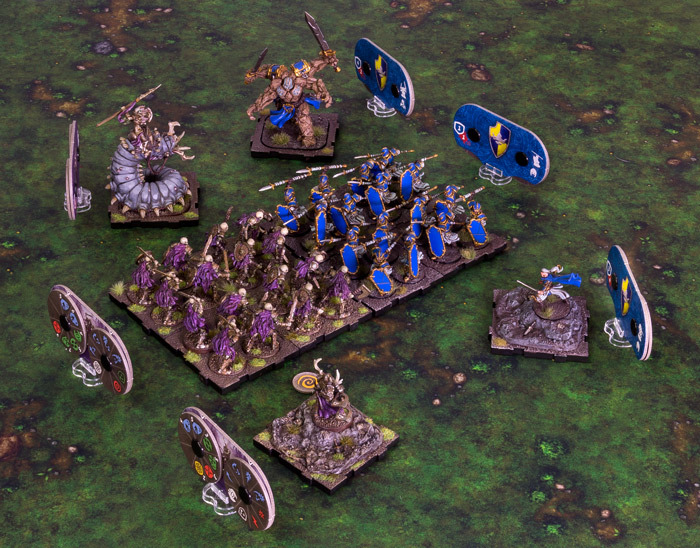 You can even combine two Grassy Field Playmats to create a massive 6’ by 3’ playing field for a full game of the Runewars Miniatures Game! The design of the Grassy Field Playmat not only blends multiple mats seamlessly, but is perfect for tournament play, offering an appropriate playing surface without distracting from the action of the game. Whether you’re just starting out in the world of miniatures gaming or are a hardened expert, the Grassy Field Playmat is the perfect purchase to enhance your miniatures gaming experience, offering a classy and safe playing area while adding a splash of flavor to all your favorite miniatures games.